New to this blog? Read Miki’s Introduction to this series ‘All -in: fully committing to a life of nonviolence’ before getting started. Celebration of Life: even when I am faced with difficulties, personal, interpersonal, or global, I want to maintain an attitude of appreciation and gratitude for what life brings me. If I find myself becoming cynical or experiencing only pain and despair, I want to seek support to connect my heart with the beauty and wonder that exist in life even in the most dire circumstances. At a certain critical period in my life, I embraced an unlikely practice for myself: daily gratitude. Each night, after turning off the lights, I reviewed in my mind the entire day and paused to name to myself what I was grateful for in each period I was looking at. I did this, consistently, for an entire year. In the course of this year I became, in some ways, a different person. I am not surprised about this, because I read research that after three months of weekly meetings in small groups, those who shared stories of gratitude were healthier, even physically, than those who shared things they were annoyed about. 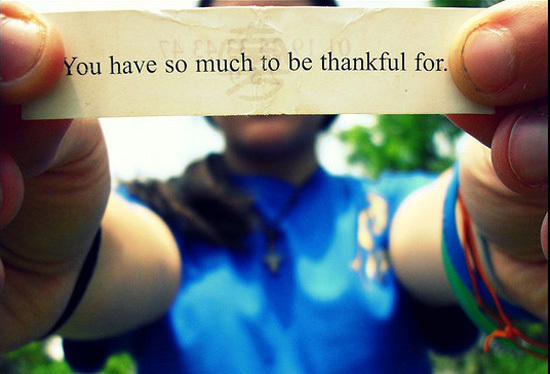 I no longer do this daily, because gratitude is now integrated into my life. It is no longer necessary as a practice, though still essential. In particular, when I feel depleted, lacking resources, or particularly stressed, I call on gratitude to nourish me, give me some energy, release some of the stress. Or to soothe myself and come to peace when I am full of adrenaline from being engaged intensely just before going to bed. It’s become a resource I can use to support my living. Gratitude is also an antidote to hubris, a reminder of our interconnectedness with others. During my year of practice I noticed that on the days that were the hardest, I usually had more things I could be grateful for, more people that contributed to my life on those days. This helped me realize that when we are doing well, we require less support, and we can more easily hold on to the illusion of self-sufficiency. When we are faced with challenges, we become more aware of how much of our life depends on the grace and generosity of others, how little we ourselves are the masters of what happens. These days, I spontaneously notice more things I can celebrate and I am regularly moved to tears by what I notice. A life of nonviolence presents ongoing challenges, and the celebrations are utterly necessary to withstand anguish, doubt, and overwhelm and to stay focused on the luminous vision of what we are working for, individually and collectively. Practice: At the end of the day, review your entire day (while still awake…) and notice the big and small things that you are grateful for and celebrating. Break the day down to hours or even minutes, if necessary, to support your memory. As you focus more and more this way, you will likely have more to celebrate, more to be grateful for. Your life can literally become better. Miki Kashtan is a co-founder of Bay Area Nonviolent Communication (BayNVC). She is inspired by the role of visionary leadership in shaping a livable future, and works toward that vision by sharing the principles and practices of Nonviolent Communication through mediation, meeting facilitation, consulting, and training for organizations and for committed individuals. Miki blogs at the Fearless Heart. Her articles have appeared in Tikkun magazine (e.g.Wanting Fully Without Attachment), Waging Nonviolence (e.g. Pushing the powerful into a moral corner at India’s Barefoot College), Shareable, and elsewhere.